Ticket Lanyards work. You know it. We know it. They just make sense. No more stuffing tickets into your pockets where they get ruined. No more digging under layer after layer just to get into the ballpark, arena, or stadium. 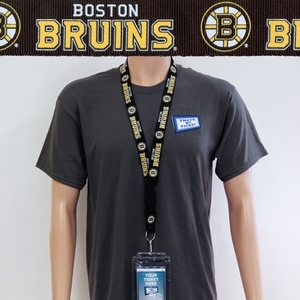 It’s no wonder the Ticket Lanyard has become a staple at every major sports event. So if you’re going to purchase a Ticket Lanyard, be sure to get an officially licensed one along with a ticket holder. Plus, we offer two ticket holders to choose from: 4" x 8" for larger tickets and 3 1/2" x 5 3/4" for smaller tickets. Also, lanyards are not just for game day anymore. Many people use lanyards every day in workplaces which require them to display IDs, credentials or security badges. Others use lanyards to hold their keys, cell phones, MP3 players and more. THE TMT ADVANTAGE: We’re ticket experts. It’s what we do. We like to talk tickets and we like to display tickets. It's why we offer a selection of more than 550 lanyards including all major sports events such as the World Series, Super Bowl, Final Four, Daytona 500, All-Star Games and more.